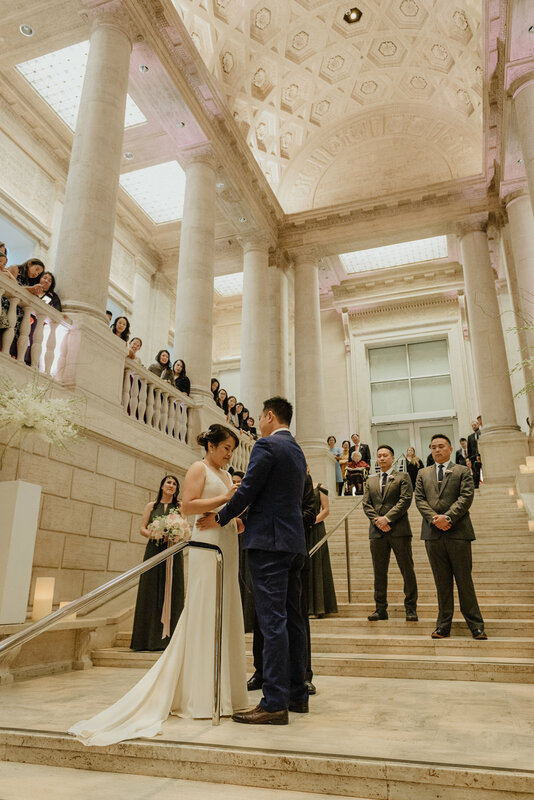 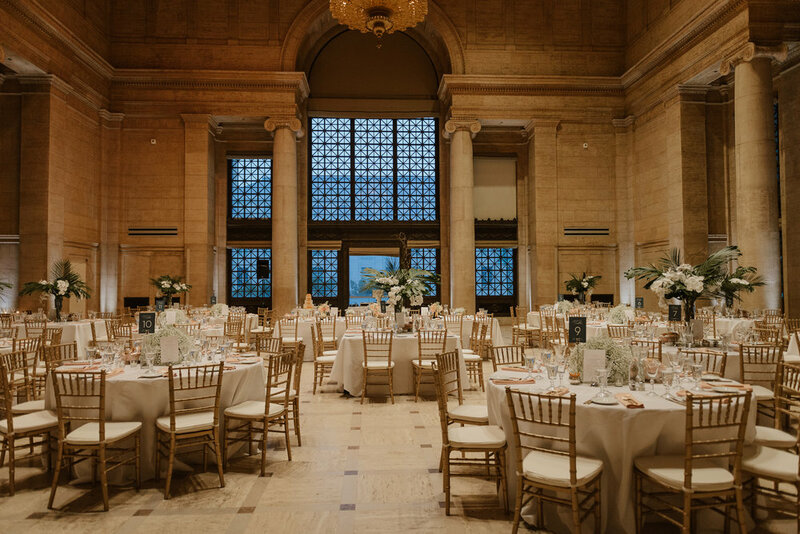 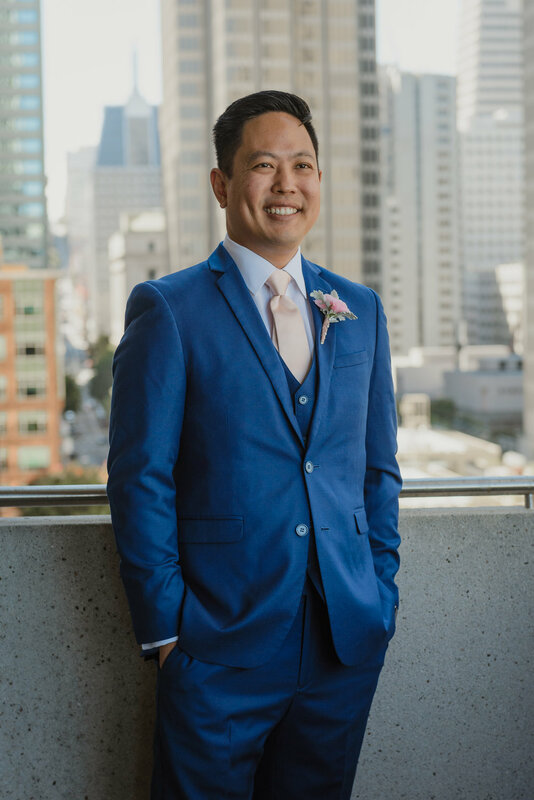 As members of the Asian Art Museum, choosing this historic venue was a no brainer for Sylvia and Andrew. 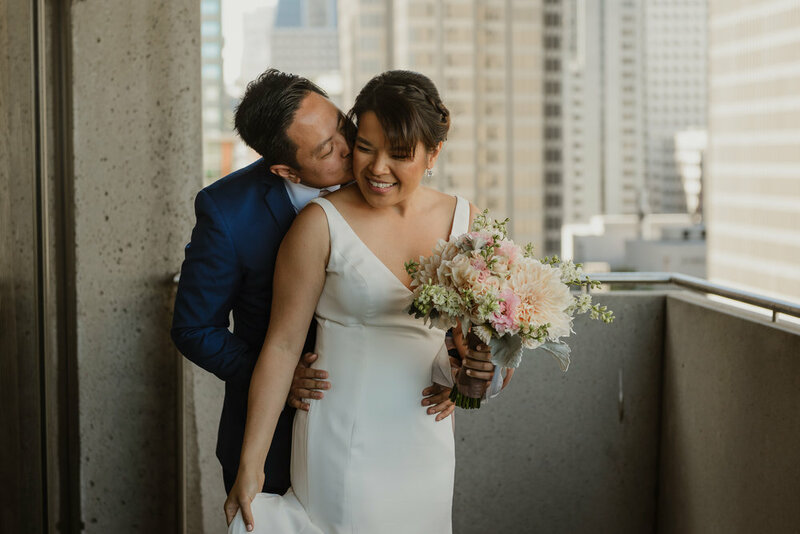 They knew that by having their wedding celebration would be supporting one of their favorite places in San Francisco. 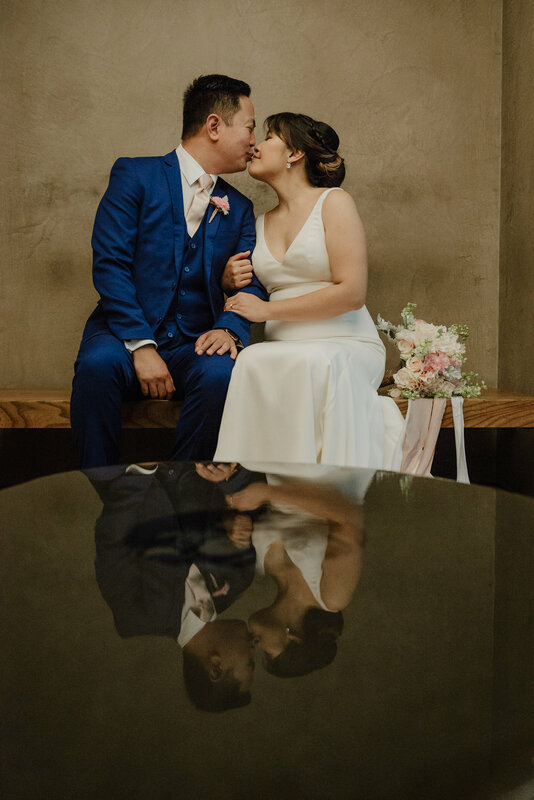 We started the day at the beautiful waterfront Hyatt Regency Hotel where they held a traditional tea ceremony as a nod to their Chinese heritage. 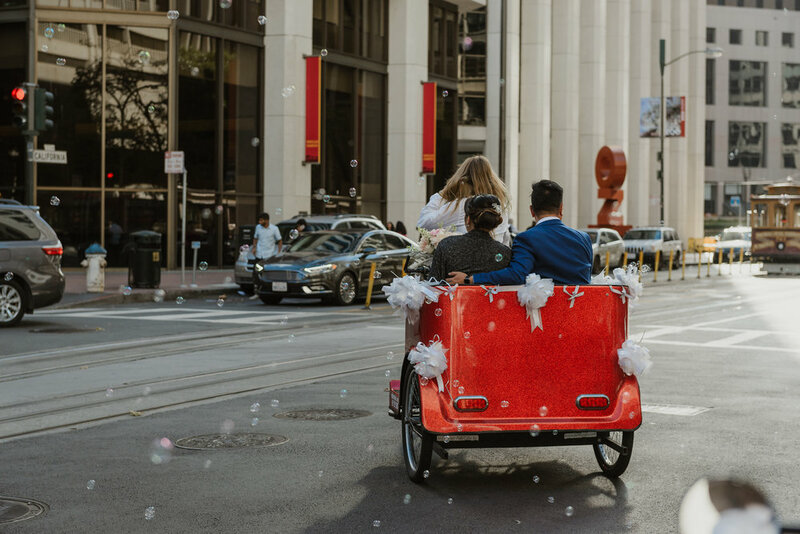 Afterwards, the wedding party, armed with bubble guns piled into a couple of pedicabs and we made our way down San Francisco’s Market Street, receiving congratulatory messages along the way. 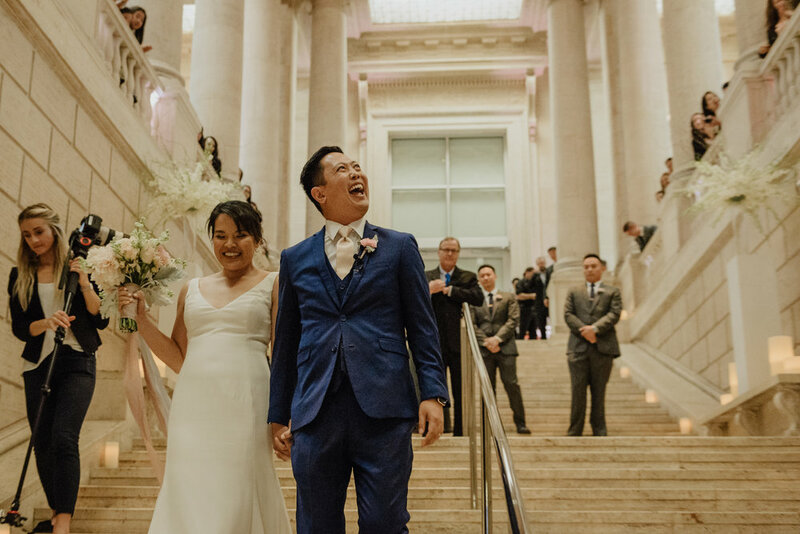 Upon arriving at the museum, we took some time to explore the galleries before heading to the ceremony held on the grand staircase. 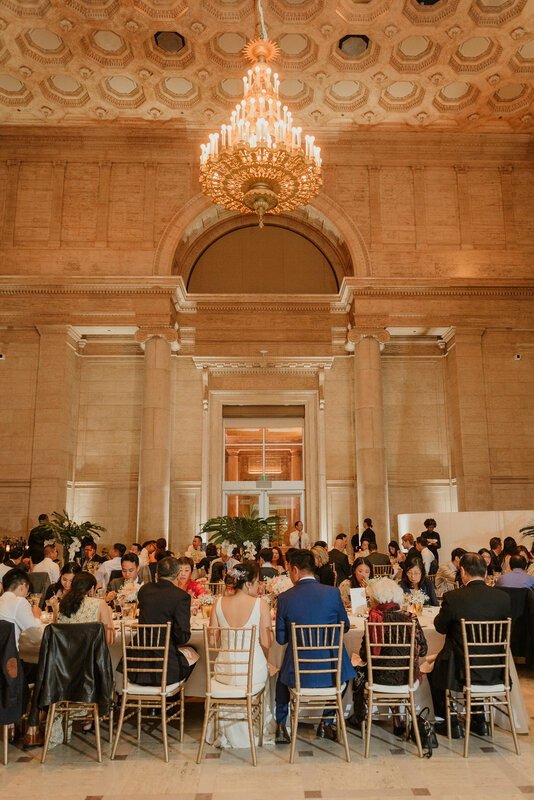 Their delightful dinner reception included a quiz about the couple where guests showed off their knowledge and competed for wine bottles. 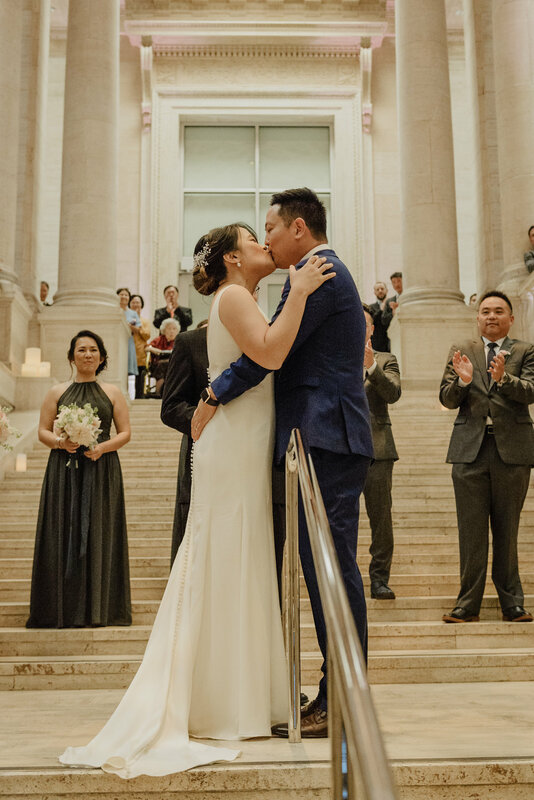 Sylvia surprised Andrew with a sweet ukulele performance before kicking off the evening with desserts and dancing.